It’s rare for liberals and conservatives to find common ground in this era of political brinkmanship. That’s why it’s been refreshing to see a strong national consensus in support of Net Neutrality, the principle that protects free speech and innovation on the Internet. Republican Alabama Representative Spencer Bachus, a champion of First and Fourth Amendment values, recently spoke out in favor of such protections, suggesting that the FCC treat Internet service providers like AT&T, Comcast and Verizon as common carriers, and prevent companies from blocking, censoring or discriminating against Internet traffic. 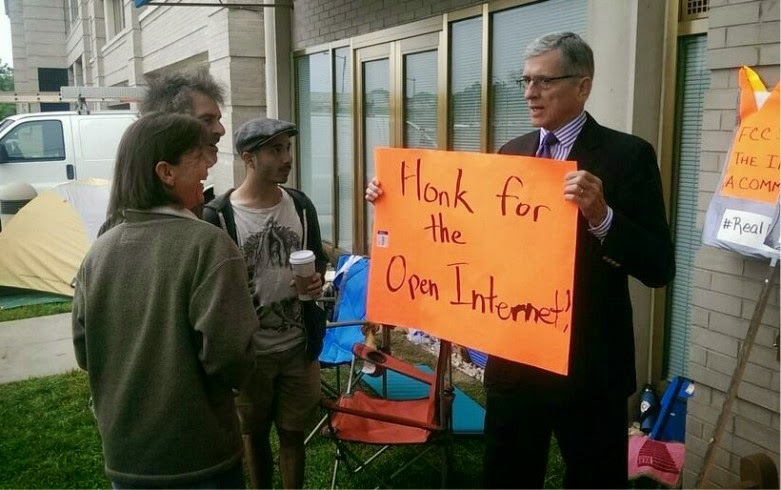 Wheeler with protesters outside the FCC. What do you get when you mix a cable lobbyist with a federal regulator? You get FCC Chairman Tom Wheeler. What you don’t get is Net Neutrality. 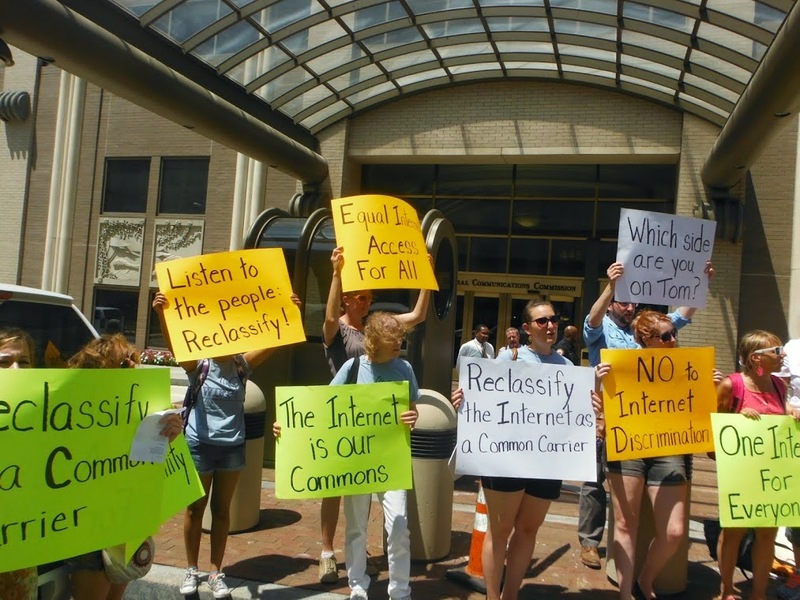 Wheeler's proposed rules for protecting the open Internet fall so spectacularly short on protecting the open Internet that all of the major phone and cable companies are lobbying Washington to support them. Representative Spencer Bachus stands out among conservatives. Representing Alabama’s 6th district, he’s built his Republican political reputation as a supporter of fiscal responsibility, limited government and constitutional rights — with special attention to the First and Fourth Amendments. Therefore, it shouldn’t have come as a surprise to hear this southern Republican speak in favor of net neutrality, the principle that preserves free speech on the Web. “There shouldn’t be fast lanes on the Internet,” Bachus told Politico after a House Judiciary Committee hearing last month. July 1 is a bright summer day for most of the nation, made even more so by a new tool designed to shed light on the dark money behind political advertising this year. On Tuesday, every major broadcast television station in the United States is required to post online information about the political ads that they air. These broadcasters were already required by law to keep a "political file" on site at their stations. 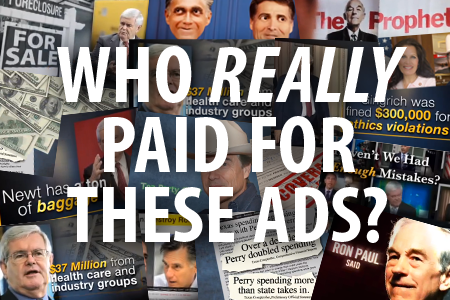 Now, this file will also be maintained at the Federal Communications Commission website -- with stations posting copies of contracts showing who these political advertisers are, how much they're spending on ads, and where and when their ads air. This includes files from the nearly 2,000 local broadcast stations in 210 broadcast markets nationwide -- a planned expansion on a 2012 ruling, which initially required only the top affiliates in the largest 50 markets to disclose online.